Set of 8 Gourmet Hot Beverage Stirrers Gift Individually or Jazz Up Hot Drinks Do you enjoy a Bit of Honey in your tea, a touch of peppermint extra chocolate to your coffee or hot chocolate? 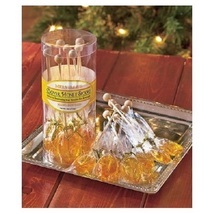 If so this set of 8 hand-dipped gourmet stirrers are perfect complements to any hot beverage. 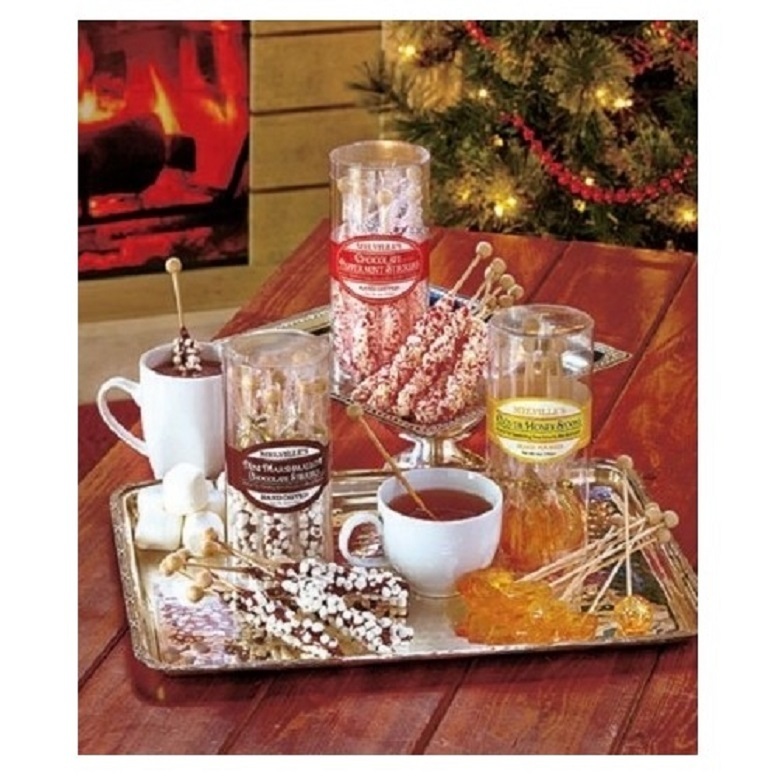 Use them to sweeten tea or add delicious flavor to hot chocolate, coffee or desserts. Simply place one in your drink, stir and enjoy. 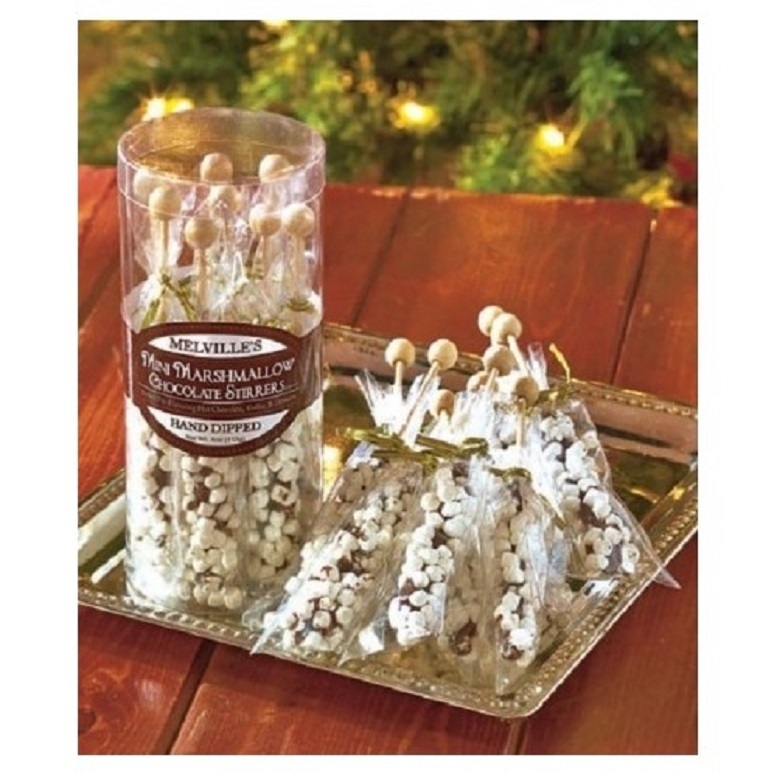 Each stirrer is individually wrapped, so you can give a few as gifts to multiple people on your list or use them as gift wrap or package tie-ons. Approx. 6-1/2" x 1", each. 4 oz. Give a set or individually as gifts or jazz up your favorite hot drink! 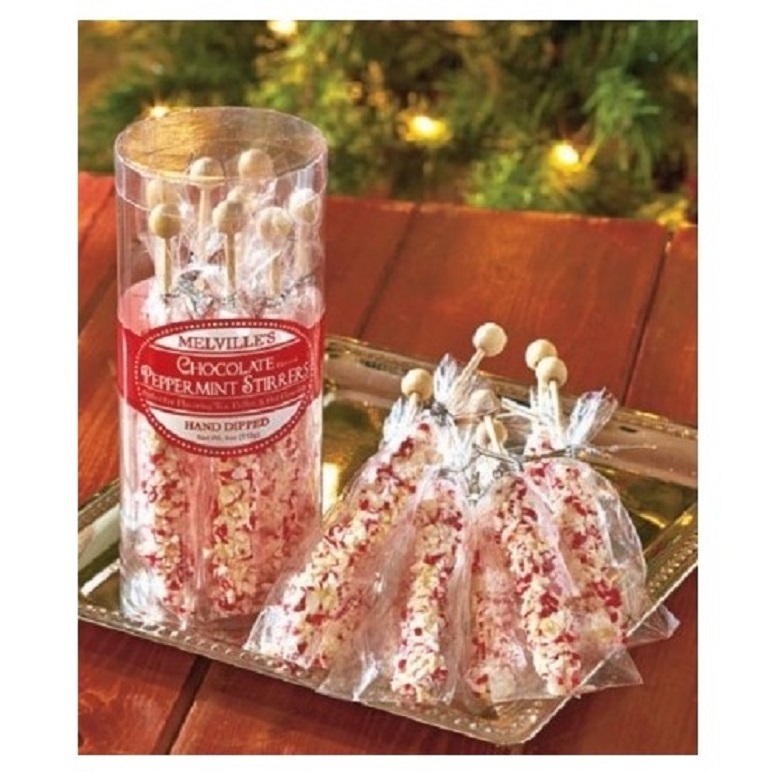 Each stirrer is Individually wrapped Set of 8! Details: Approx. 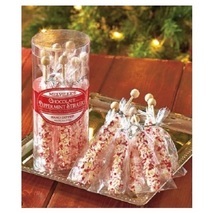 6-1/2" x 1", each Chocolate Peppermint , Marshmallow Chocolate, or Clover Honey 4 oz. We ship to the lower 48 states only and we do not combine shipping and we do not ship to APO's nor to P O Boxes. Please allow 4 to 5 days to ship. Ships standard 1 to 5 business days.